Homemade burgers are a great way to involve those little helping hands in preparing the family meal. There is great value in it and it is well worth the time invested to work together in making homemade meals. 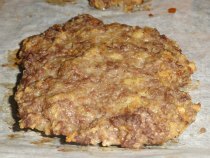 Our kids really love this hamburgers recipe, especially when we are sticking our hands into the ground beef mixture to make the hamburger patties. This recipe makes 12 medium to large thick hamburgers patties which allows our family to have hamburger lunches the next day. These burgers taste great and in under 20 minutes can be cooking on the BBQ or in the oven. We know as parents what we are putting into these burgers and what a great healthy alternative it is instead of going into town and ordering burgers and fries for the whole family. I have broken this recipe down to the steps of making and cooking these ground beef hamburgers, oven burger style. You could have this meal on your family table this weekend. Enjoy them with your whole family. 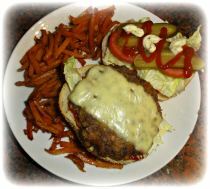 The hamburger burgers mix taste even better using the mixing bowl with the seasonings from our homemade potato wedges. 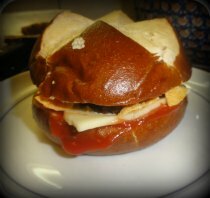 A great lunch or dinner for the whole family is combining our homemade burgers with our homemade fries or wedges. A tummy filling healthy alternative to packaged or fast food. While the hamburgers are cooking set the dinner or picnic table and prepare the condiments that you and your family would enjoy on your burgers: tomatoes, peppers, onions, pickles, mayonnaise, ketchup, mustard, relish etc. Have an awesome weekend celebrating together, making homemade burgers and enjoying them with your whole family gathered around the family table. Oven baked, great every time!